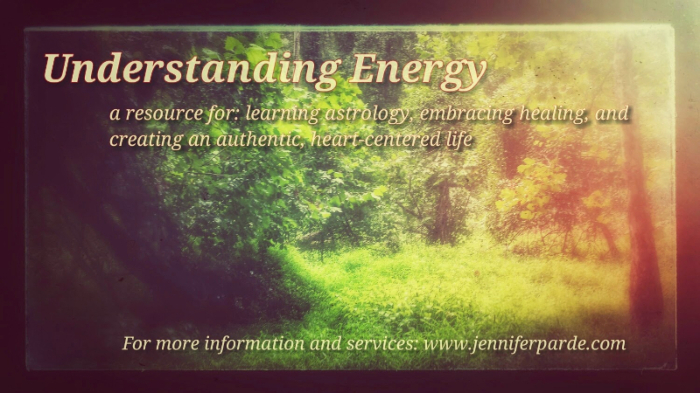 Welcome to my "Understanding Energy" newsletter! My goal is to help you to align with the Universe--to assist you in understanding the cosmic dance, and in honoring the wisdom inside of you--so that you can live a vibrant, creative and love-filled life. I generally send out newsletters about 2 - 3 times per month, sharing astrological transits, inspired writings and contemplative questions/observations. Namaste.